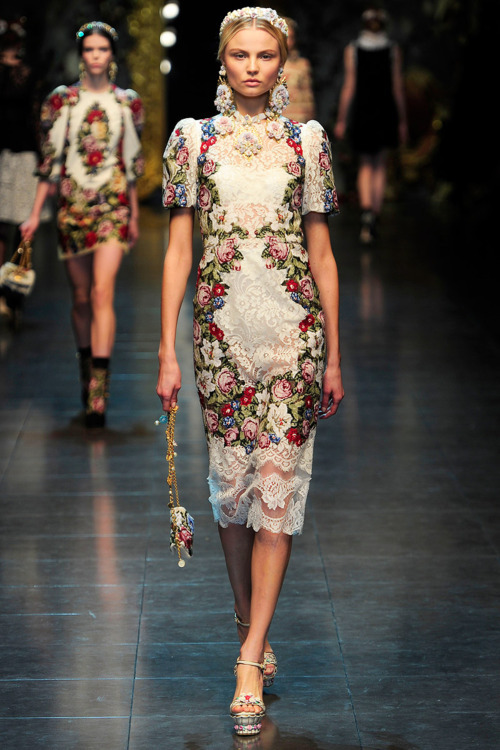 I've put off posting this Dolce & Gabbana review for a few days now; simply because I've been lost for words! 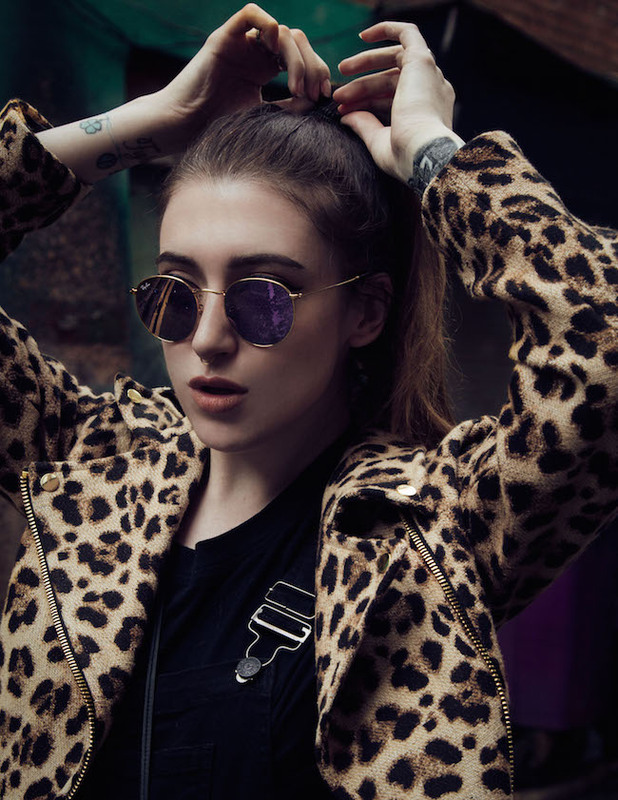 I'm constantly asked why I love fashion so much, why I spend hours upon hours flicking through fashion magazines and websites.. and the answer lies right within this post. 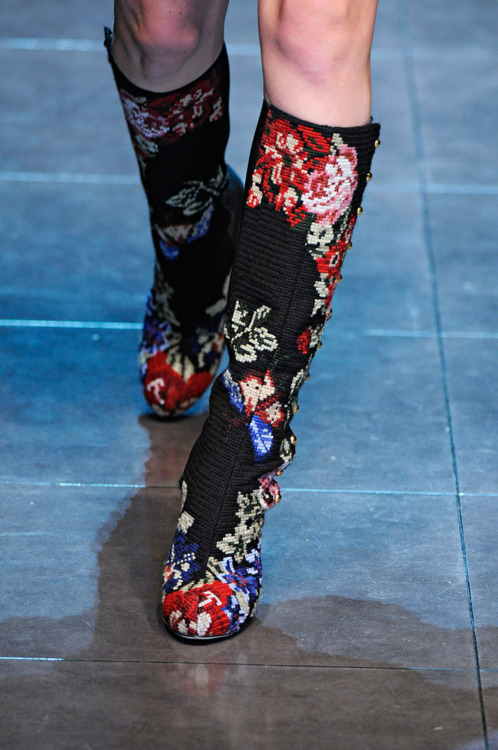 Fashion inspires me constantly, it makes me feel empowered, I find every little inch of it interesting and energising. 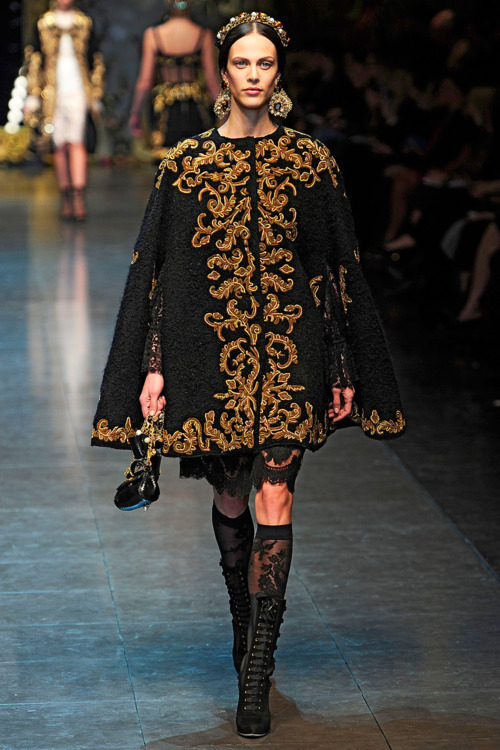 When I saw the first photos pop up on my computer screen of Dolce & Gabbana's Autumn/ Winter collection, it literally brought a tear to my eye. I've mentioned in the past, that collections have made me cry, and it's simply just down to the beauty of it all moving me, and making me trés emotional. 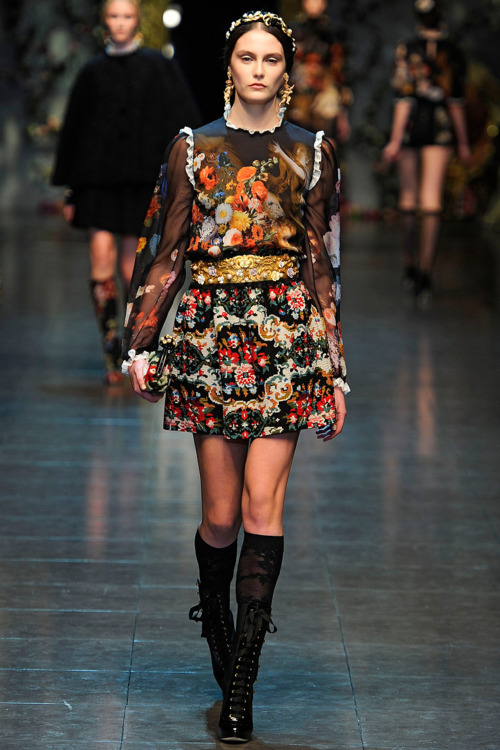 Whilst I flicked through this collection's show photos, my mouth was wide open in awe and I was literally dumbstruck. 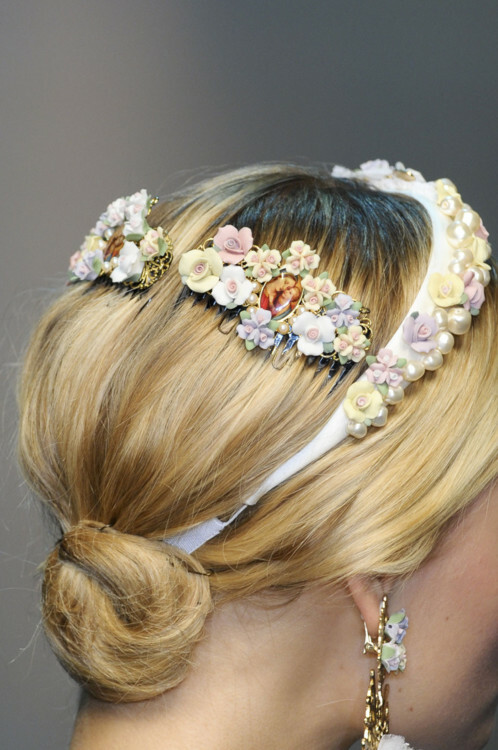 The beauty of these pieces is just so exquisite, so perfect, so inspiring. Right down to the garments themselves, the hair, the makeup, the shoes; it's all perfect. I've had the photos saved for days, flicking through them constantly throughout the day. 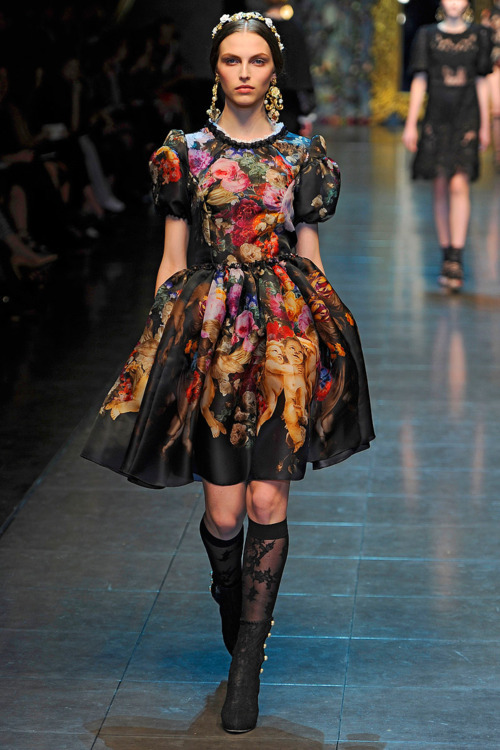 There's nothing more exciting than seeing art come to life, especially in the format of clothes. 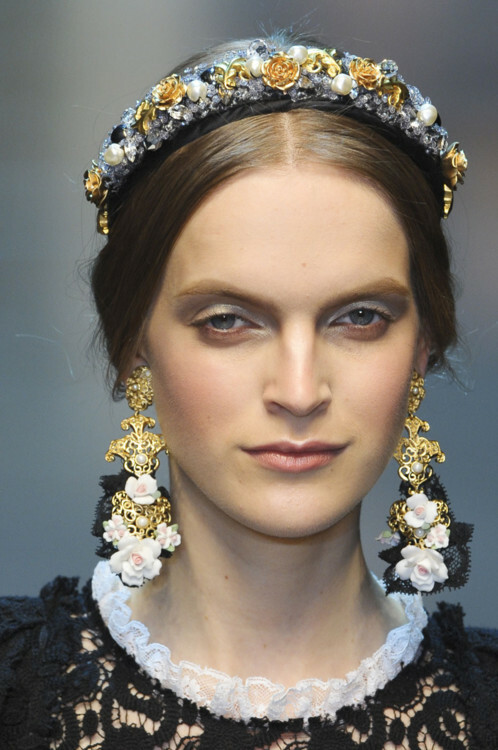 I feel like I've stepped into the lavish Baroque era studying the pieces, inspiration and outfit ideas popping up from all angles. There's a abundance of colour, attention to detail, texture upon texture (my beloved sheer and lace); it's just all completely mesmorising. Some of you may think I sound completely crazy, getting this worked up over clothes - but this is why I want to go down the path I'm pursuing. Collections like these, make me feel like I can do anything, be who I want to be and all of that other clichéd nonsense. 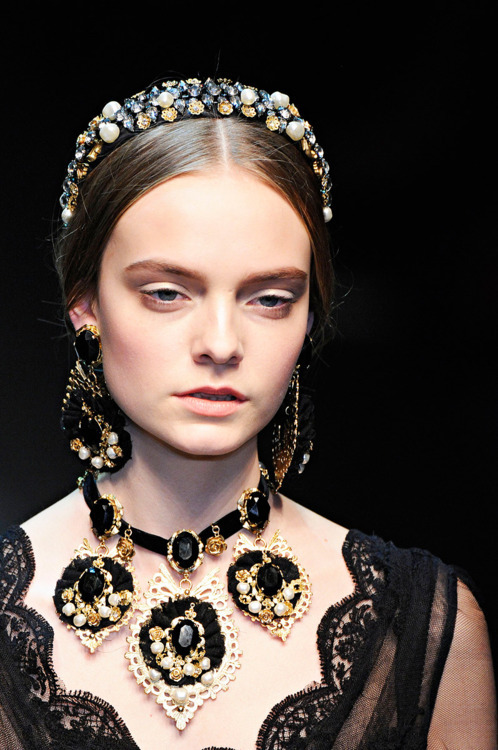 Before I bore you all with my Ode to D&G, enjoy a bundle of Dolce & Gabbana A/W '12 photos, watch the video and just take in the allure of the pieces. I'm still lost for words over it, I haven't adored a collection so much in years. 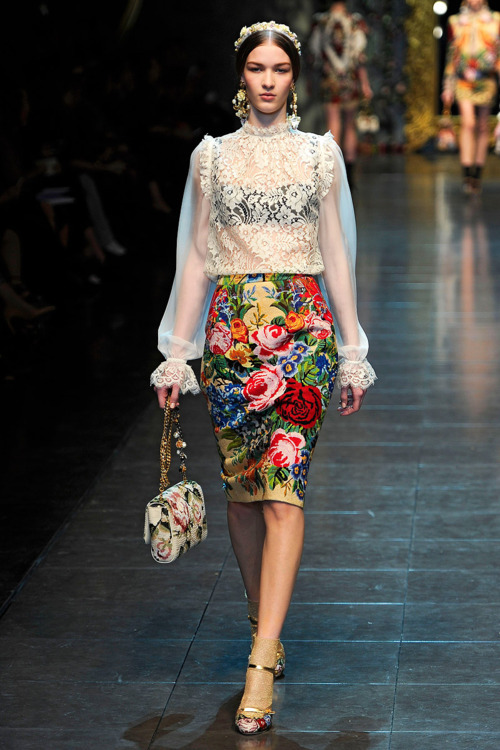 I bow down to you, Domenico and Stefano!